BestWindowsHostingASP.NET - HostForLIFE.eu proudly launches the support of Joomla 3.4 on all their newest Windows Server environment. 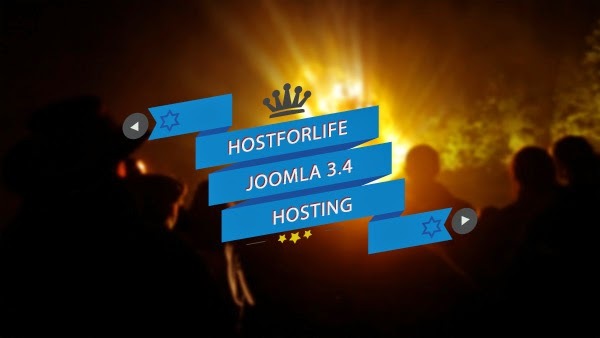 HostForLIFE.eu Joomla 3.4 Hosting plan starts from just as low as €3.00/month only. Joomla 3.4 is designed to be easy to install and set up even if you're not an advanced user. Many web hosting services offer a single-click install, getting your new site up and running in just a few minutes. Since Joomla is so easy to use, as a Web designer or developer, you can quickly build sites for your clients. Then, with a minimal amount of instruction, you can empower your clients to easily manage their own sites themselves. Joomla 3.4 focuses on 4 main new features, though most average users will only be able to notice 3 of them. The main idea of this release is not to extend Joomla, but to begin the transition to the new release cycle and provide core improvements in the Joomla package. Joomla 3.4 are going to begin the process of creating a lightweight and powerful application which can be adapted easily for a variety of use cases. Joomla 3.4 integrate Composer into the CMS for managing external dependencies such as the Joomla Framework and PHPMailer. In the 3.4 release, the PLT aims to begin working on creating a lighter core distribution and establish a workflow for providing optional extensions outside the main distribution by removing com_weblinks from the core distribution. HostForLIFE.eu is a popular online Joomla hosting service provider catering to those people who face such issues. The company has managed to build a strong client base in a very short period of time. It is known for offering ultra-fast, fully-managed and secured services in the competitive market.